Nutritionists are advising Australians to eat less salt – the average Australian supposedly consumes twice the daily recommended intake of salt, which can lead to high blood pressure and increased risk of heart disease. One of the major culprits is processed food – they tend to be very high in salt content, even if it’s not savoury. Pro-tip: to see how much salt a product has, check out the “Sodium” entry in the nutritional fact box on the packaging. It may seem unintuitive, but your body may produce more energy digesting processed food than natural food with the same amount of calories (the science of which is very well summarised here). This is because the way calories are measured in a lab is very different to how our bodies convert food into energy. That’s before we even start to talk about what goes into processed food to help it keep longer without spoiling, and to give it an appealing taste and texture. If you think about it, processing and cooking are really just processes by which we make food easier to digest by breaking down fibres and other hard-to-digest materials. 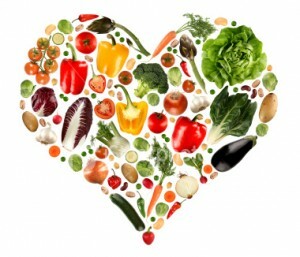 Therefore try to include as much raw, unprocessed food in your diet as possible. It’s hard to think about all this when you come home from work tired and hungry, and not many people have the patience to stand around at the supermarket comparing the nutritional virtues between two brands of the same product. Still, a little bit here and there can add up. I’ve been trying to incorporate as many of the above into my diet as possible – all well and good, except my problem is that I need to exercise more (or even exercise at all)! NOOO!!!!! Could this spell the end to the Gomez Family Steak Sundays?